Three of the four countries included in the current visa restrictions - Cambodia, Guinea, and Eritrea - were on a July list of nations deemed "recalcitrant" by U.S. immigration authorities. The U.S. State Department on Wednesday will stop issuing certain kinds of visas to some citizens of Cambodia, Eritrea, Guinea and Sierra Leone because the nations are not taking back their citizens the United States wants to deport. The new policies, laid out in State Department cables reviewed by Reuters on Tuesday and described in a department news briefing, are the latest example of U.S. President Donald Trump’s effort to crack down on immigrants who are in the United States illegally. 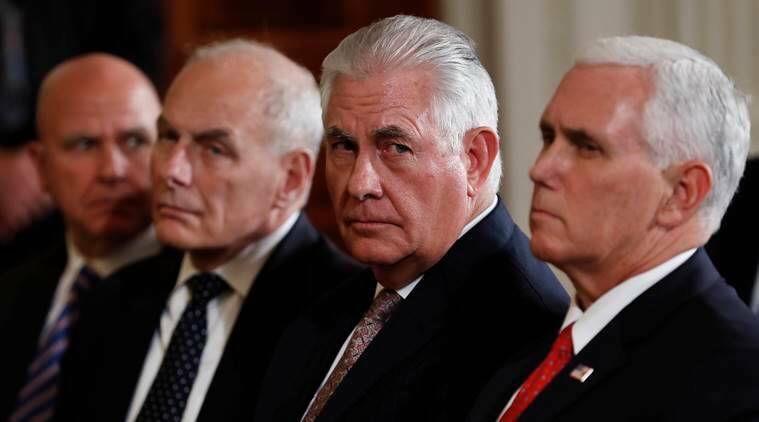 The cables, sent by Secretary of State Rex Tillerson to consular officials around the world, said the four countries were “denying or unreasonably delaying” the return of their citizens, and that visa restrictions would be lifted in a country if it accepted its deportees. “The Secretary determines the categories of applicants subject to the visa restrictions, and the categories differ slightly country by country,” State Department spokeswoman Heather Nauert said in the news briefing on Tuesday. In Cambodia, the sanction is tailored. Only Foreign Ministry employees at or above the rank of director general, and their families, who apply inside the country will be barred from getting some visas for personal travel, a third cable said. For Sierra Leone, only Foreign Ministry and immigration officials will be denied tourist and business visas at the U.S. Embassy in Freetown, according to a fourth cable. In each case, there are exceptions for citizens of the four nations who apply for visas from outside their countries, as well as exceptions on humanitarian grounds or for travel “deemed in the interest of the United States.” The new rules, which go into effect on Wednesday, do not affect visas that already have been granted. Visa sanctions are allowed by U.S. immigration law to punish countries that refuse to accept their citizens back from the United States. In practice, the United States has rarely taken that step – just twice in the past decade and a half, according to a Department of Homeland Security spokesman. The most recent instance was in October 2016 when the Obama administration stopped issuing visas to Gambian government officials and their families because the government was not taking back U.S. deportees from Gambia. Three of the four countries included in the current visa restrictions – Cambodia, Guinea, and Eritrea – were on a July list of nations deemed “recalcitrant” by U.S. immigration authorities. It was unclear immediately why Sierra Leone was included in Tuesday’s action even though it was not on the “recalcitrant” list in July. Acting Department of Homeland Security Secretary Elaine Duke sent a letter to the State Department in August identifying the four countries as ones that could face penalties. DHS officials say in some cases, the agency has had no choice but to release convicted criminals who served prison time but could not be returned to their home country because it refused to take them back. The Trump administration has made it a priority to pressure reluctant countries to take back their citizens. As of July, the 12 nations deemed “recalcitrant” were China, Cuba, Vietnam, Laos, Iran, Cambodia, Burma, Morocco, Hong Kong, South Sudan, Guinea and Eritrea. According to 2016 congressional testimony by Michele Bond, former assistant secretary of state for consular affairs, Cuba was the “most recalcitrant country on repatriation of its nationals,” although she did not give numbers. 2 Transylvanian dream: Jean-Claude Juncker's antidote to "Brexit nightmare"